Today is Spring Bank Holiday Monday, better known in the United States as Memorial Day. Lives of determined conscientious objection aren’t the kind most people laud today. But if they were, wouldn’t our culture be the healthier for it? Donald Watson was a woodworker who spoke respectfully of those who went to fight in World War Two, including several close friends. Donald reprehended the vileness of Hitler’s designs, yet evidently rejected the concept that war is the way to end war, and sought the grant of an alternative position teaching young woodworkers. Donald couldn’t kill. No war horses were bred for or by Donald, nobody’s children physically or mentally maimed. Donald Watson married Dorothy Morgan some time after the end of the war and the couple established their home in Keswick, Cumbria. The life partners—for they were more than spouses, it seems to me: they were partners in the fullest sense of that word—became active members of the Cumbrian Vegetarian Society. But by then, the pair, together with Elsie Shrigley and about two dozen like-minded people, had already launched the vegan movement. When Donald Watson passed gently of old age in 2005, the BBC reported on the longtime advocate’s satisfaction in having achieved the key goal of that advocacy: “to feel that I was instrumental in starting a great new movement which could not only change the course of things for Humanity and the rest of Creation but alter Man’s expectation of surviving for much longer on this planet.” And the more we learn about the role of animal commodification in climate disruption, the more urgent Donald’s point has become to international policy-makers. 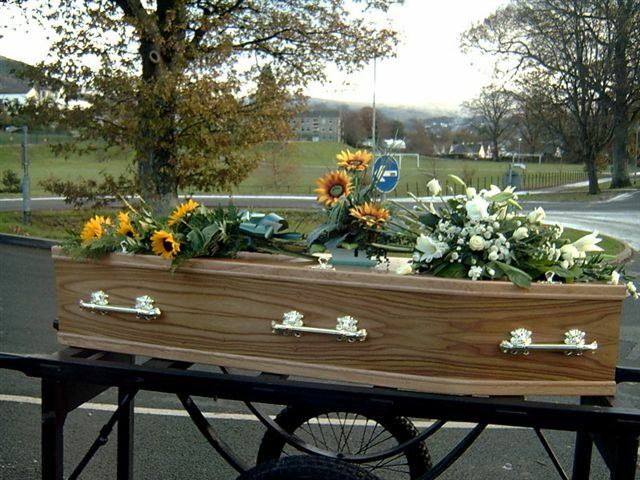 Donald Watson’s casket was adorned with sunflowers—symbols of the vegan movement. People worldwide are now asking what and how to “cut back” in order to curb climate change. But the vegans called for change at a much deeper level. They made the case against killing. They made the case for undoing the age-old concept that other conscious beings are inferior to us, and were put on Earth for our own conquests, uses, and whims. 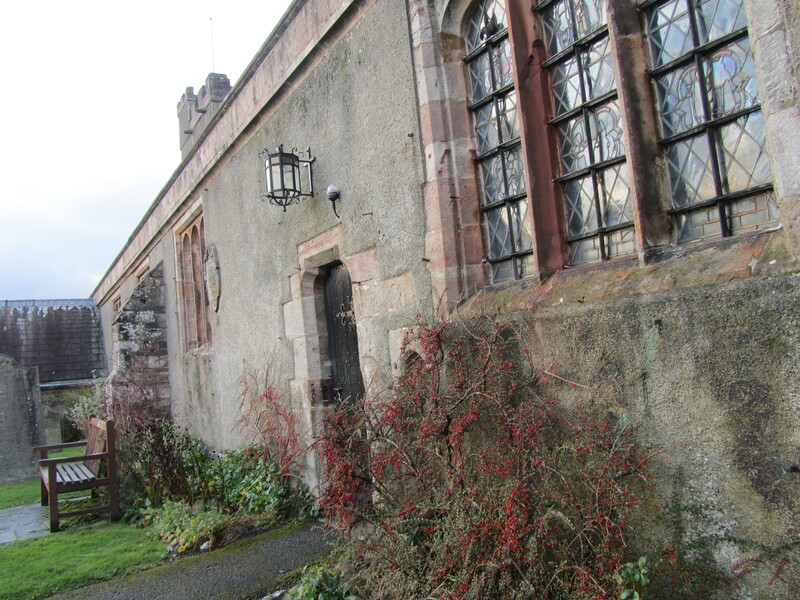 Donald’s funeral was held on the morning of Monday 28 November 2005, at Crosthwaite Church, which is dedicated to Saint Kentigern. Following the service, guests gathered to eat at the Lyzzick Hall Hotel. The service was requested by Janet, the only child of Donald and Dorothy. Speaking at Donald’s funeral, Janet mentioned a day that Dorothy and Donald both attended a dance. During the event the two started discussing the founding of a new society; and Dorothy came up with the word vegan as a possible name for it, on the basis that its letters are the beginning and conclusion of vegetarian. I visited in North Yorkshire at the invitation of Patricia Tricker in 2011, and we planned a day trip to visit the final resting place of Donald and Dorothy. 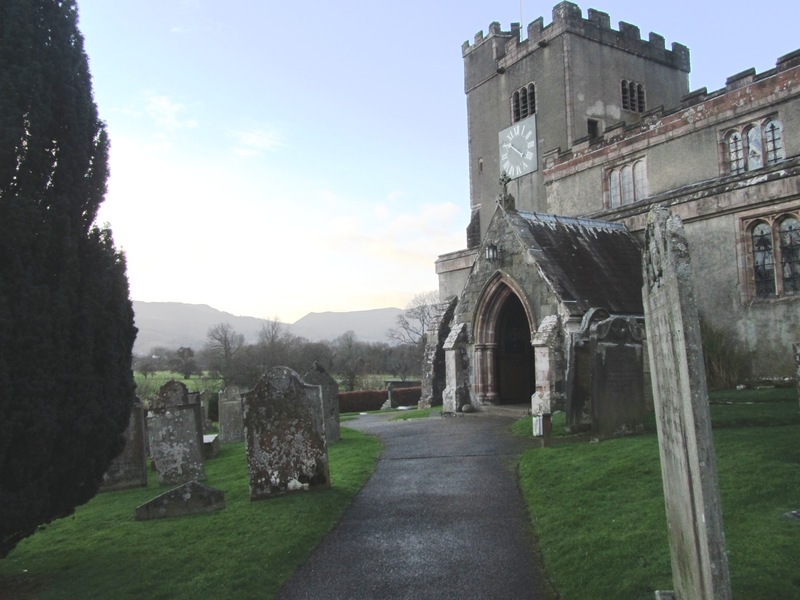 The Crosthwaite Church, near the River Greta, overlooks the beautiful Lake District mountains and the Newlands Valley. The name of the nearby fells Cat Bells may have come from “Cat Bields” – shelter of wildcats. A church has stood on this site since the sixth century A.D., and the present church architecture dates from 1523. The stained glass in the windows is mostly from the 19th century although some fragments of ancient glass remain. The graves of Donald and Dorothy are not among the notable people listed by the church as buried there; nor are they marked with headstones. But a church representative, called by Patricia in advance, had offered key reminders of the spatial details that would enable us to find the spot. And after quite a bit of focused meandering, we found it. 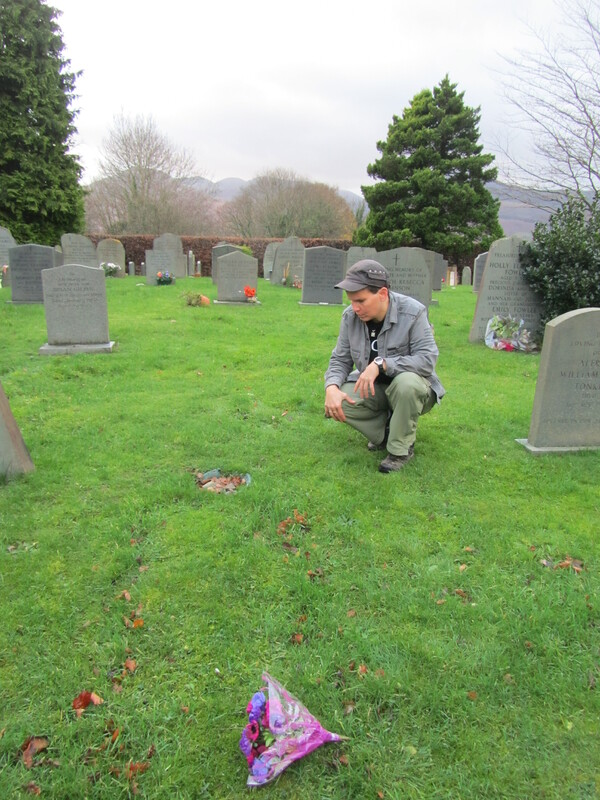 Finding Donald Watson’s grave, and a surprise (for me): Dorothy is buried there too. Wanting to leave flowers on it, I recycled a few freshly discarded ones left by previous visitors. 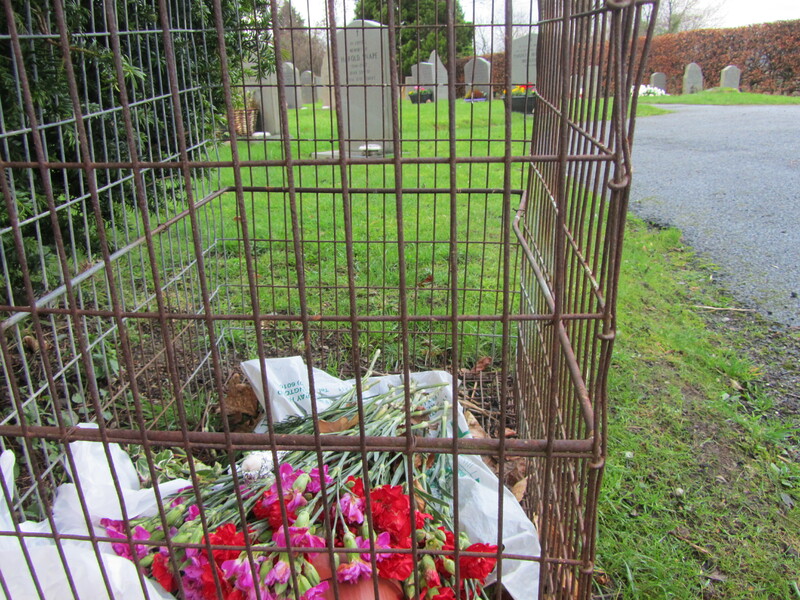 Flowers: recently cut but discarded; I pulled some out to place on Donald’s grave. 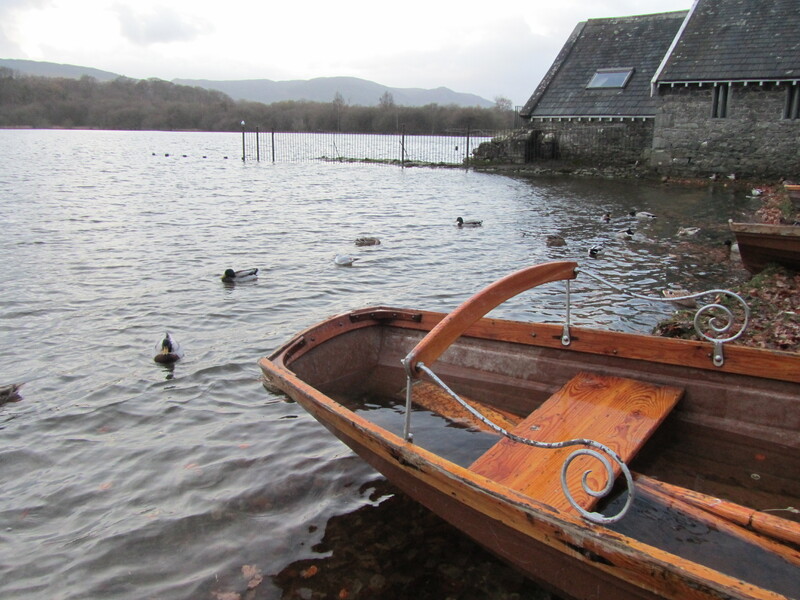 The November fog brought its natural beauty to the Keswick day. By mid-morning, the landscape appeared out of the rain in striking green; by midday, the fog and rain returned. 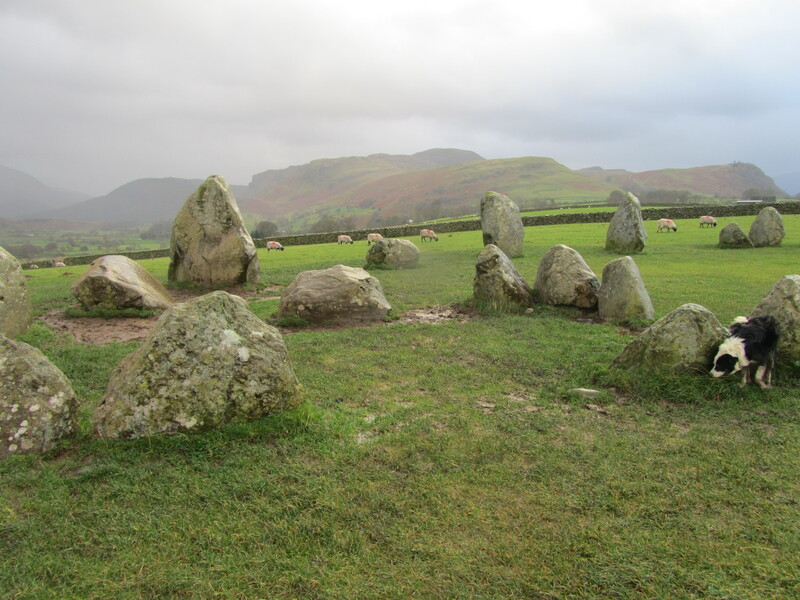 Not far from Crosthwaite is the Castlerigg Stone Circle, which we stopped to look at during one of our many brief walks in the area. A group of sheep grazed near the circle. 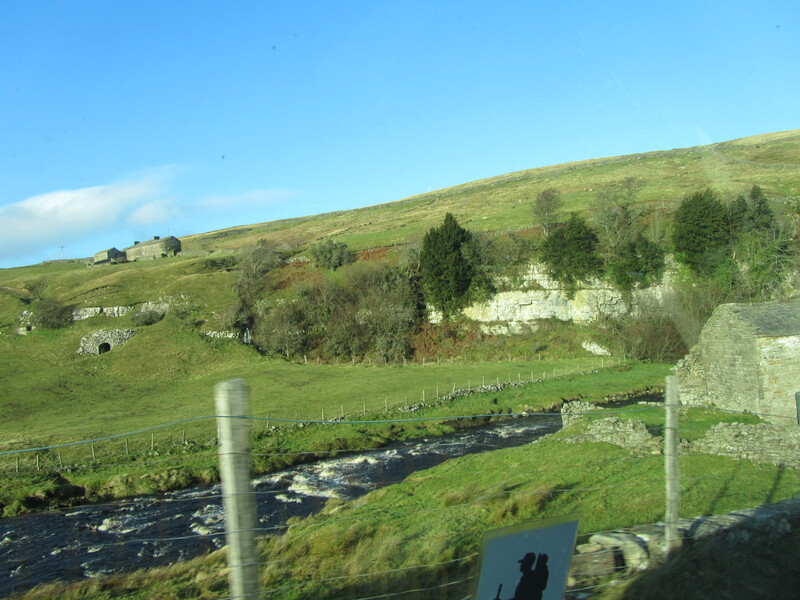 They were Swaledale sheep, used for the production of mutton (adult lamb flesh) and wool, and to maintain the landscape that’s so appealing to Cumbria’s visitors. Notes from tourists about the “happy sheep” of Keswick are frequently written and easy to find online. But Donald Watson wryly spoke of the custom of telling children about sheep who “gave” wool, without saying this “giving” would continue only until the sheep were killed because maintaining them alive no longer served the purposes of their human owners. Swaledale sheep grazing at Castlerigg Stone Circle. The fog ultimately claimed the afternoon, and as a cold mist turned into rain, we visited the town square. 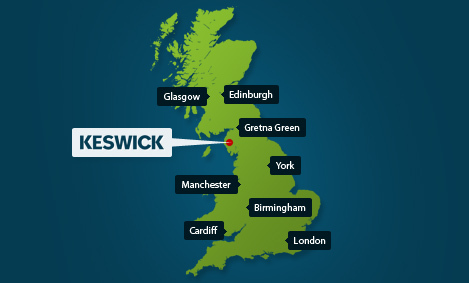 Tucked between the Skiddaw, one of Britain’s highest mountains, and the smaller Latrigg, Keswick is a popular point of convergence for cyclists, kayakers, walkers and climbers. Bell Close, Keswick Town Square. 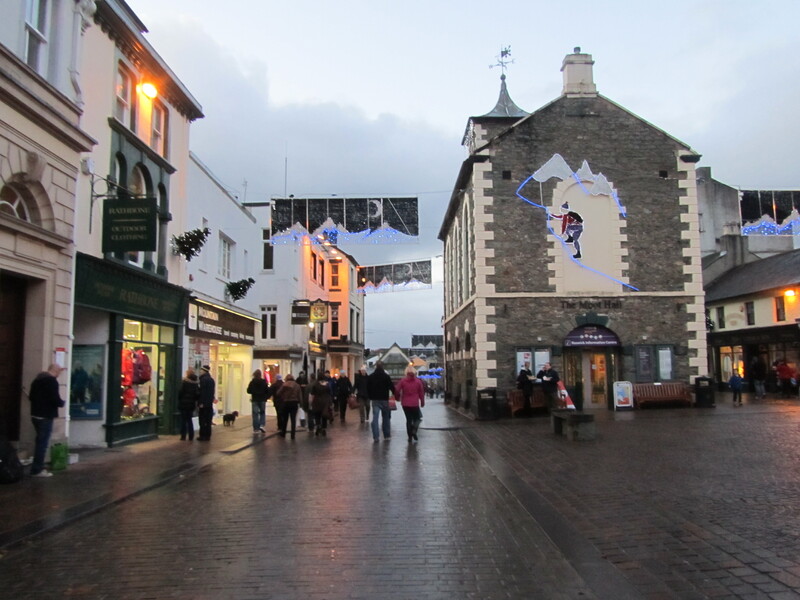 It is the market village in the beautiful Lake District National Park in Cumbria. Canon Rawnsley, who served as vicar of Crosthwaite Church from 1883-1917, was one of the co-founders of Britain’s National Trust, which now owns much of the land in the area. The vista off Lake Road, Keswick, Cumbria. Two employees of the Lakeland Pedlar pose with Patricia. 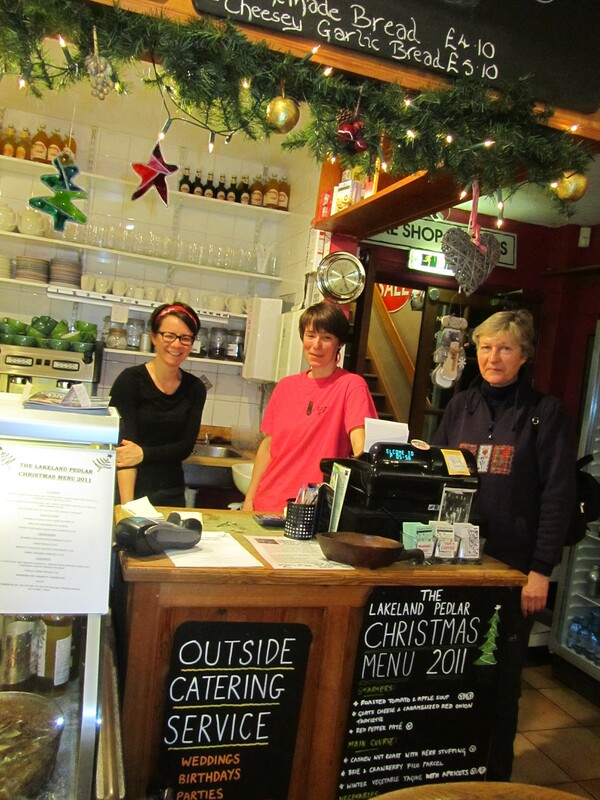 At the close of the day we stopped for supper in a restaurant Patricia had visited some years ago, called The Lakeland Pedlar. There we warmed ourselves with apple and parsnip soup, served with fresh bread—and received a 10% discount as members of the Vegan Society.